I know that we’re in the Thanksgiving home stretch! 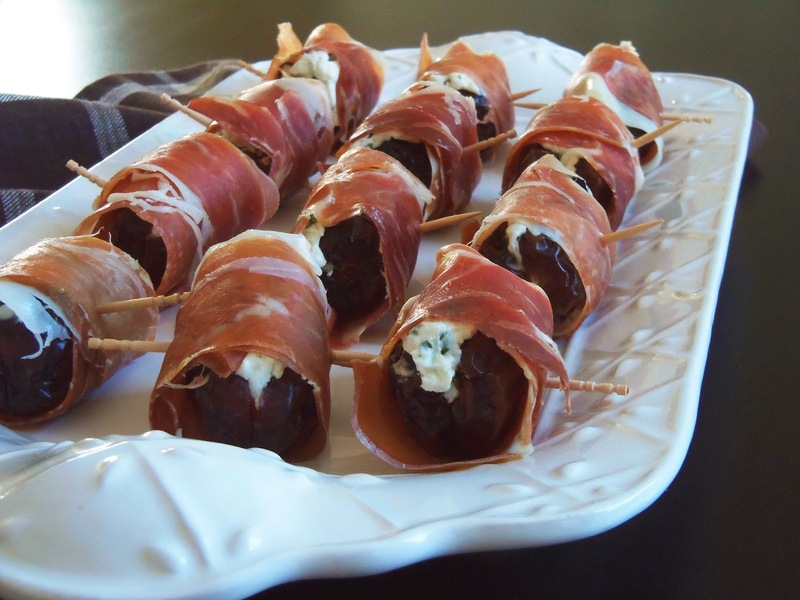 But I just had to tell you about this elegant and impossibly easy appetizer that would make your guests swoon with delight this holiday season. 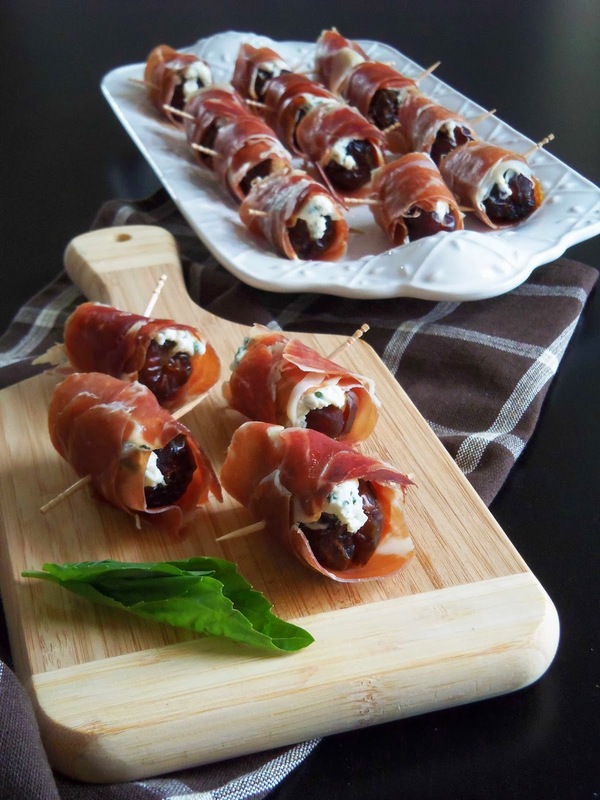 You may decide to squeeze it in on the already over-packed Thanksgiving menu for tomorrow or wait until Christmas or New Year’s or a relaxed Saturday afternoon with friends. It’s up to you. And if you do choose to whip it up for the big dinner tomorrow, rest assured those ravenous appetites will be kept in check before the bird is ready! 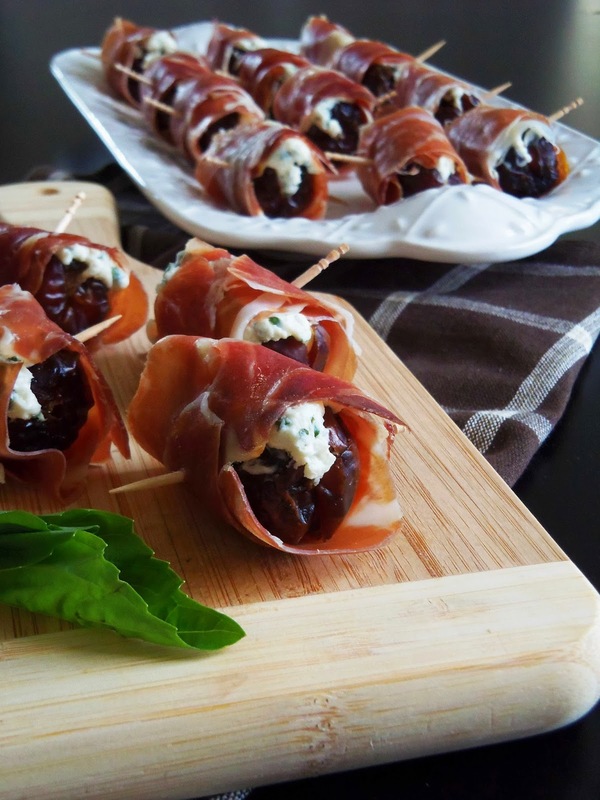 As you can see, it only took me a few postings to come up with another great recipe that has goat cheese at its core. 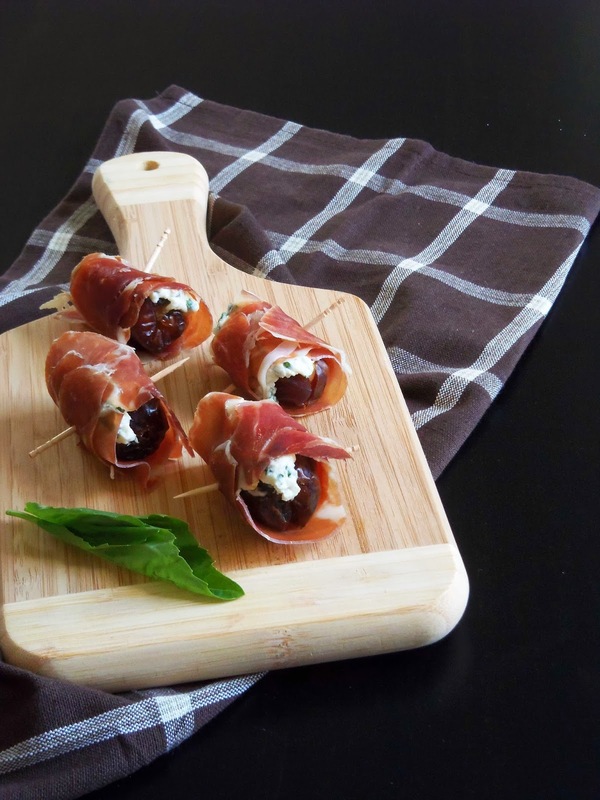 I recently made these super-tasty Goat Cheese Stuffed Dates for a tapas themed party for the iconic El Clásico, the most watched soccer game in the world. 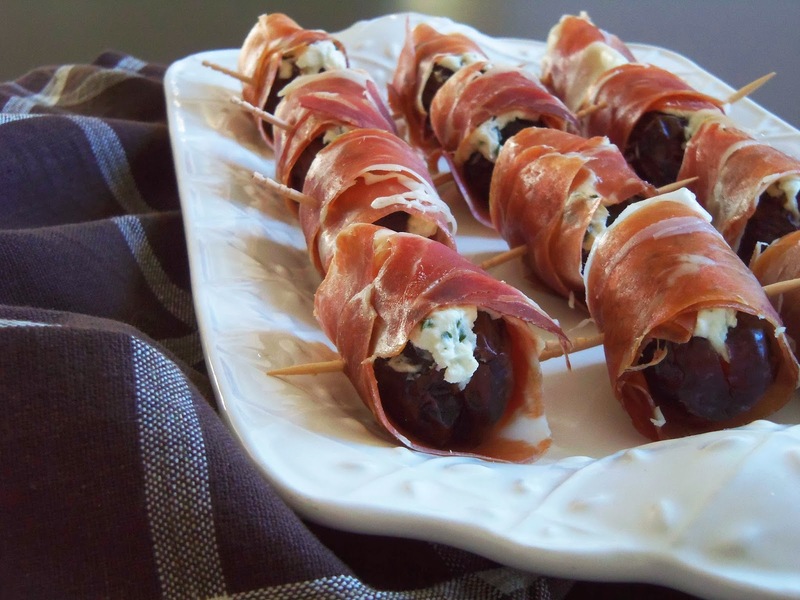 I also made them for a dinner party, a birthday celebration, and I’m making them again for Thanksgiving. 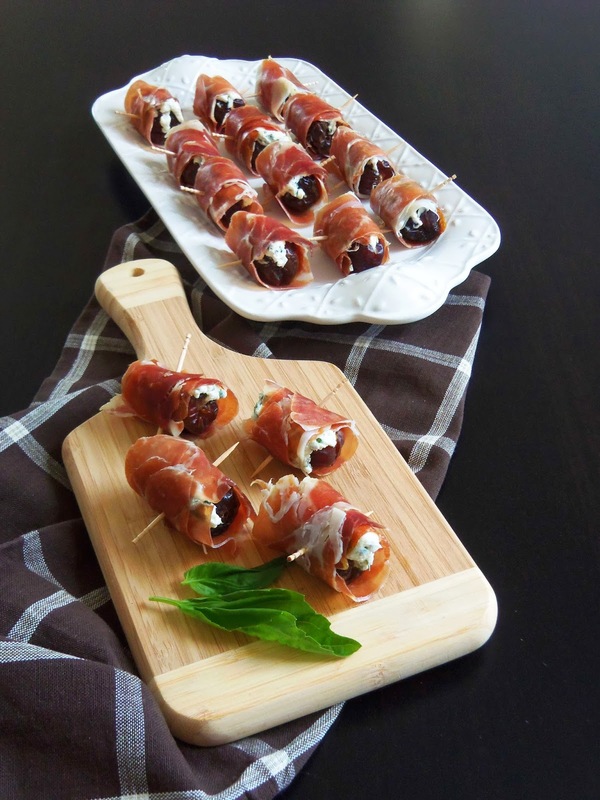 As you can imagine, everyone was smitten at first bite, gobbled them down in no time, and then demanded seconds! 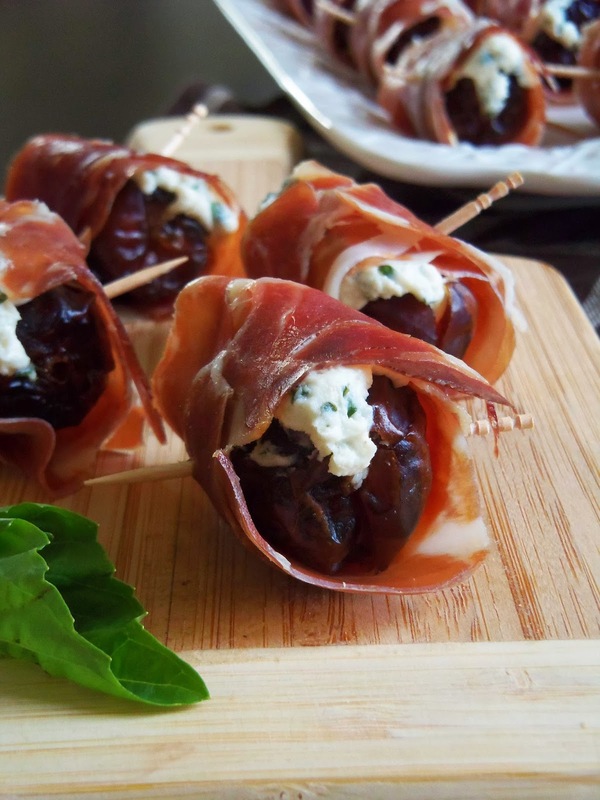 Simply put, these dates are a breeze to throw together and are wonderfully meaty and chewy, sweet and salty, creamy and fragrant all in one mouthful. 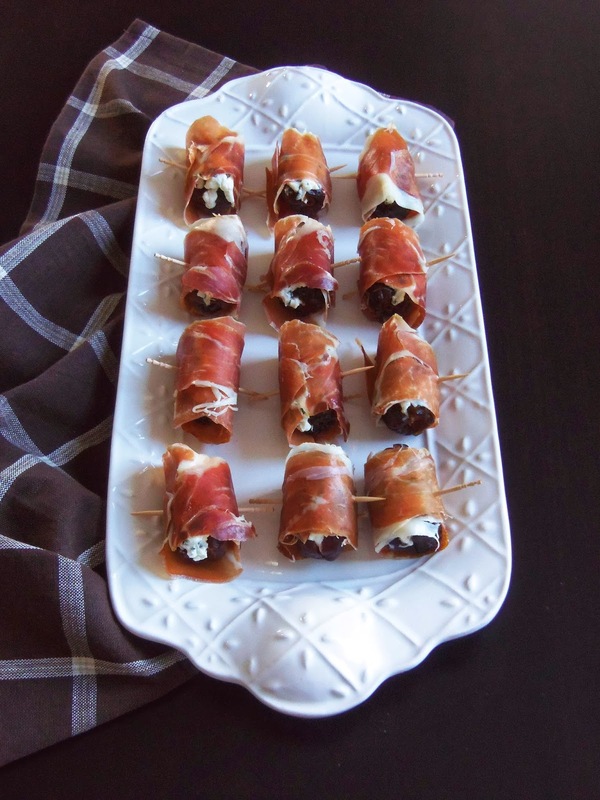 You can wrap them in prosciutto (or Serrano ham if you opt for a Spanish kick) and freely snack on them before the main courses make it to the table. 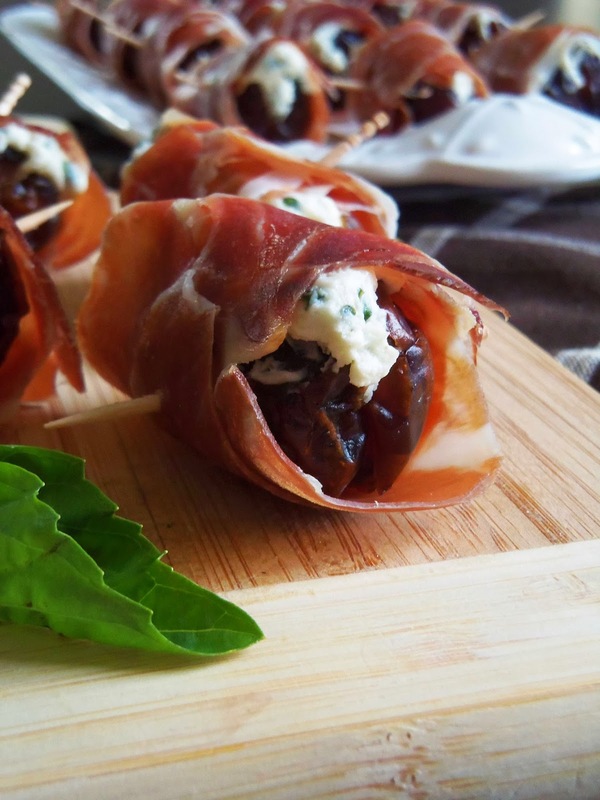 Pair the dates with a cold, crisp white wine and they will bewitch you. And a little side note – you may want to bump up the quantities – the crowd will ask for more! Last year, I was in charge of the entire Thanksgiving menu, and although it was only for three people, it was daunting and uplifting at the same time. 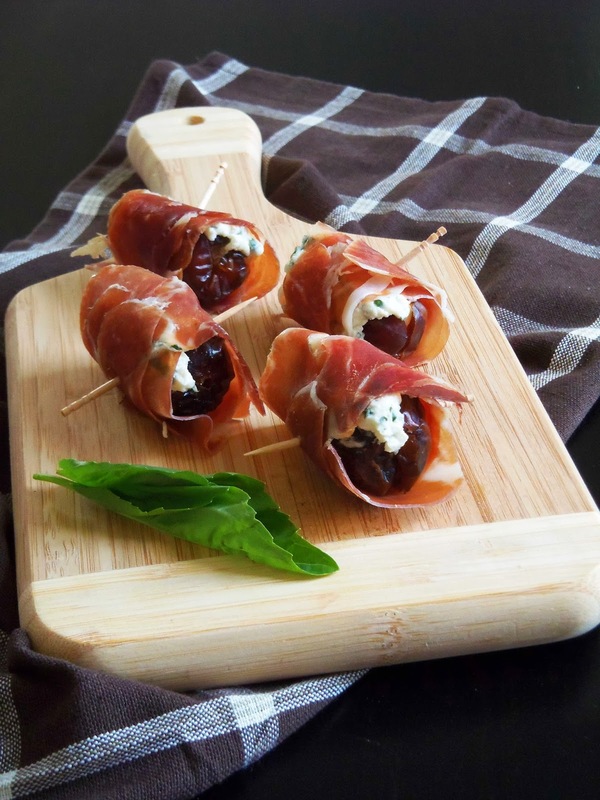 This year, I’m back to being a contributor to the mighty feast by bringing these amazing Goat Cheese Stuffed Dates, these irresistible Sweet and Spicy Roasted Nuts, and my favorite Cranberry-Orange Sauce that I’ve made religiously for the past few years. So, here you have it… Enjoy the recipe and I wish you all a very Happy Thanksgiving filled with delicious food and delightful company! In a small bowl, mix together the cheeses and basil (or dill). Season with salt and pepper, to taste. 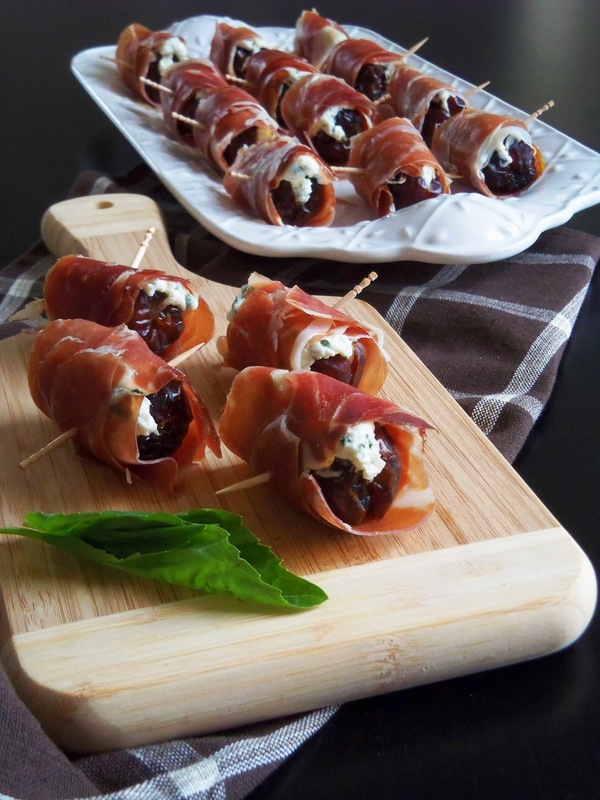 Spoon about ½ teaspoon of the cheese and basil mixture inside each one. Close the dates around the filling. 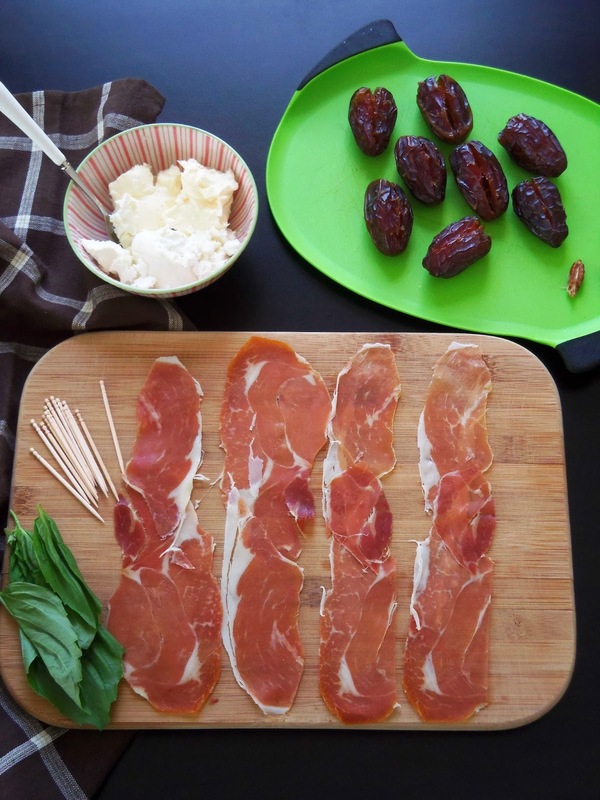 Wrap a piece of prosciutto around each date and secure with a toothpick. 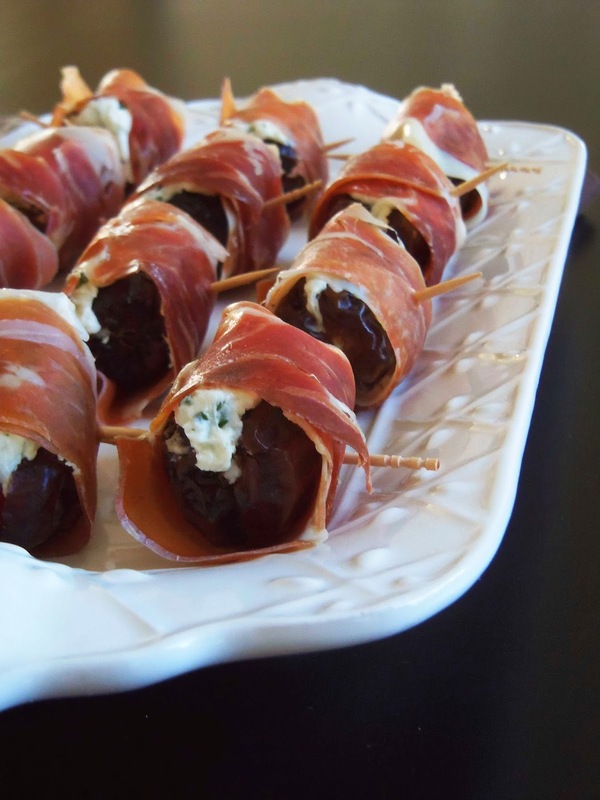 Arrange the stuffed dates on a platter and serve.